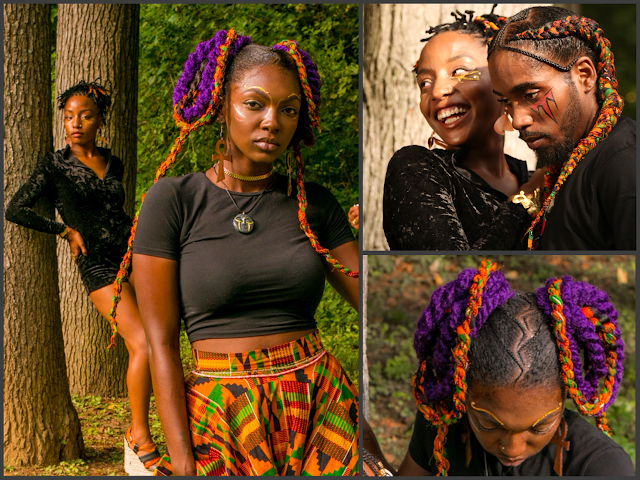 Naturally Glam Is Keeping Up With Innovative Hairstylist KeKe! Naturally Glam- the reboot- is back and we're putting you in the spotlight! 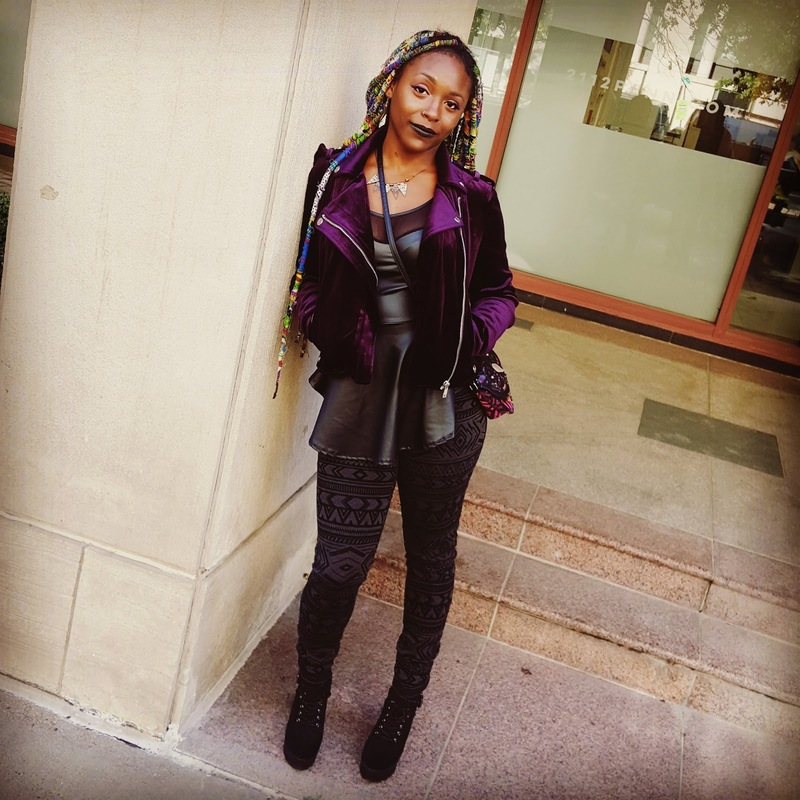 Up this week is certified hairstylist and instructor Ikea- aka- KeKe! Styling for over 17 years, this DC woman who spent most of her childhood in Georgia, knows a thing or two about expressing her creativity through innovative hair styles. 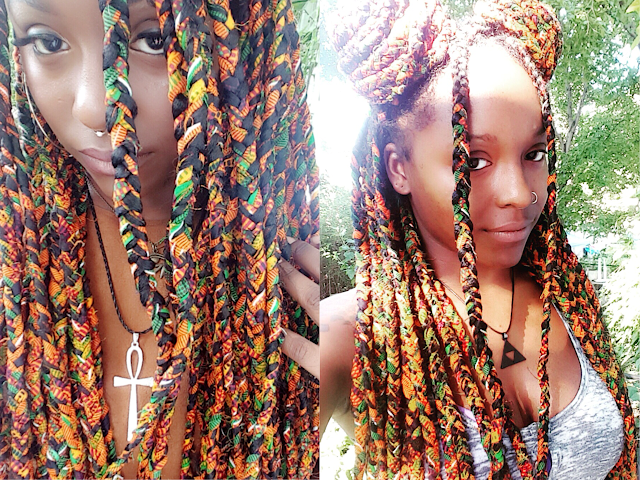 Check out some of her most creative looks and find out why being natural is a lifestyle! Everything about my lifestyle has been natural for as long as I can remember. My mom was the headwrap Queen everywhere we lived so you can get an idea of what type of household I was raised in. She taught me to be a forward thinking, self-loving naturalista through her actions; not just her words. I can attribute much about my personality and style to her powerful influence. She never put chemicals in my hair. She let me try getting it pressed out once when I was about 9, but she burned my forehead so bad, that I never asked her to do it again, lol. It wasn't till I was 16 years old that I attempted to give straight hair another try. 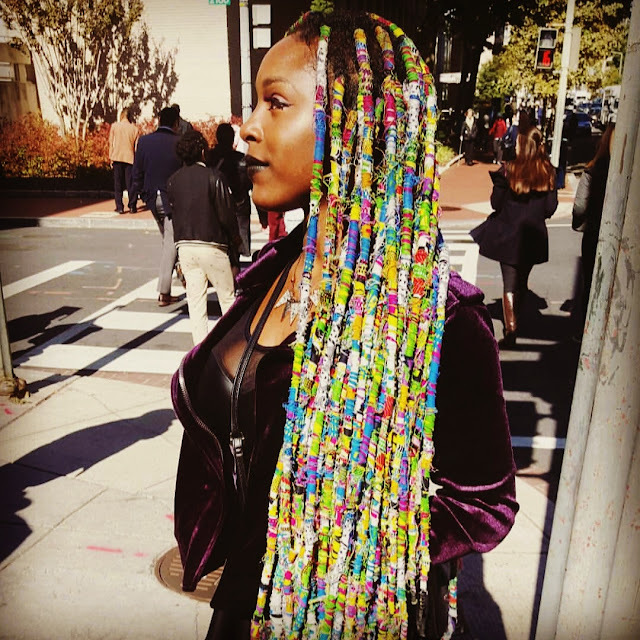 I had already been renting a booth for 2 years, in a local salon, as a braider. In addition to braiding though, I also had a chance to learn from the master stylists working around me. With their help, I figured I could make this "perm" thing work- despite all the horror stories I had heard. Long story short, my hair was "technically" healthy for all of 1 year. The additional "perm" year I endured was spent trying to save my poor over-processed lifeless hair. So after my high-school graduation, I decided to ditch the creamy crack and go-BACK natural. Our hair is SO much stronger in its natural state. In my humble opinion, altered hair is often weaker and much more fragile. My entire career has been about promoting healthy resilient hair for all ethnicities. My clientele includes men, women and children from all demographics. My specialties are textured hair and braiding, but I provide all other types of styling as well. I love to create unorthodox styles using my own specialized techniques, mixed media and rare colors. Do you have any favorite black-owned products? What's the best part about what you do? I am a hair restoration specialist and I absolutely love what I do! There is no greater feeling than to share a client's progress with them. I live for time-lapse "reveal" days and being bombarded with questions about hair health. Many stylists aren't receptive to questions, and don't share brand or up-keep knowledge with clients from what I hear. I try my hardest everyday to be the opposite of that. I'm an open-book with my clients and anyone who'd like help achieving their optimal hair goals. 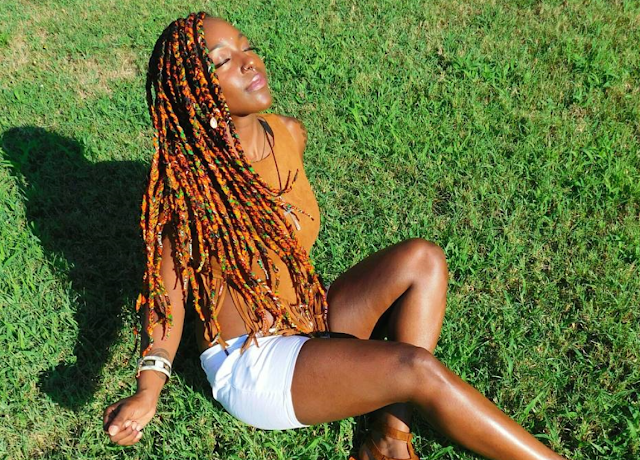 Has having natural hair contributed to you meeting your life goals? Having natural hair has definitely contributed to me meeting my life goals so far ;-). I'm a walking billboard. My quirky, game-changing hair styles that are floating around on social media were first tested on myself. I couldn't attempt even a portion of the styles I’ve done without having the resilience of natural hair. Also, I love the look on the faces of other women of color, when they see the eclectic styles and colors I mash together. Many (if not all) tell me, they never would've imagined my styles on dark-skinned women. I WANT TO CHANGE THAT! What's been the best part of your natural hair journey and what hair advice do you give other women? The best part of my hair journey has been the experience and expertise I've gained over the years, that I can share with other people. The most rewarding thing to me, about styling is, the creative freedom. Ideas are constantly blooming in my head and I feel really lucky to have the open-minded type of clientele to unleash them on. I love creating trends. The best hair advice I can give to women is: please take care of your mind and your body. Stress is the #1 hair killer outside of dehydration. It short circuits the hair follicles, essentially frying them from the root- aka- the quickest way to hair loss. As for your body, drink Alkaline water. Alkaline water neutralizes acidity and inflammation within the body. 90% of what's happening to your hair is because of imbalances WITHIN the body. THANK YOU for giving me the opportunity to share my opinions!!! If you'd like to be featured in Naturally Glam- whether you live here or abroad- submit your photos to [email protected] and answer these questions! 1) Where are you from and how long have you been natural? 2) Do you have any fav black-owned products that you use? 3) What do you do and why do you love it? 5) If you have a business, are in school, have a blog, products you sell, a job in a field you'd like to talk about, have initiatives and organizations you'd like to highlight, advice to give, or family that you are proud of and want to share, please do. 6) How has having natural hair contributed to your life? Your self-esteem? 7) What's been the best part of your natural hair journey or your hair journey in general?